What is “Sound for Soul” and what are its benefits? 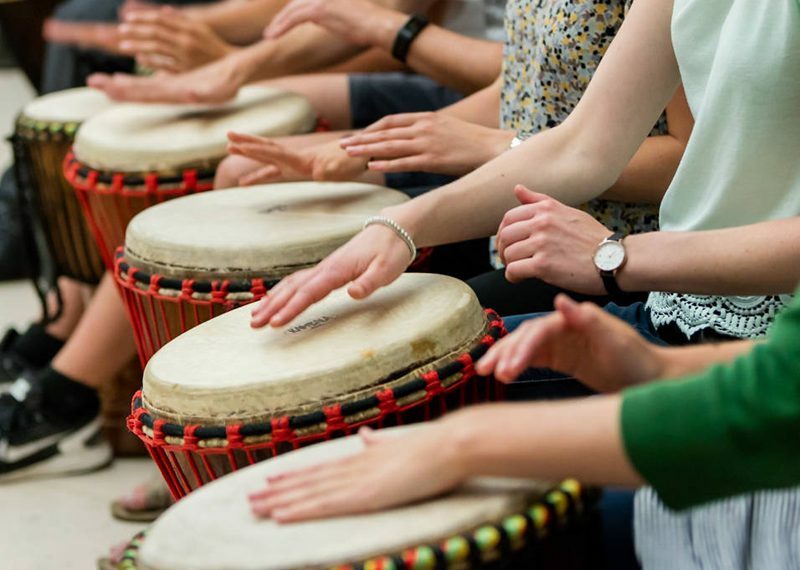 Community drum circle allows us to reconnect with our bodies and our hearts, improves our wellbeing, helps the immune system and releases stress. Through drumming we can receive therapeutic effects in a way that only music can provide. Drumming has been used for year for healing and wellbeing among African cultures. Drumming alters the way our brains work, as well as exercise both the left and the right sides of our brains. It is through drumming that we teach focus, attention, self-modulation, social awareness, and the concept of tempo which is directly targeting all motor coordination of our brain because we believe that there is tremendous power in music and its unique way to transform our abilities in open walls of possibilities for our children. We want to make this opportunity transcend or limitations until we feel music has “EndlessBrained” us. Drumming is also a great way of recreation, it comes from the latin word (re: “again”, creare: “to create, bring forth, beget), which has been translated from ancient cultures as “restoring” or “recovering from illness”. And most important: It helps rebuild the community.